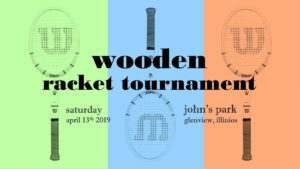 Oakton Community College Men’s Tennis Team presents its 3rd Annual Wooden Racket Tennis Tournament on Saturday, April 13th. 6 Game Pro-set matches (with consolation) will be played starting at 9am. Trophies will be presented to winners in each division. 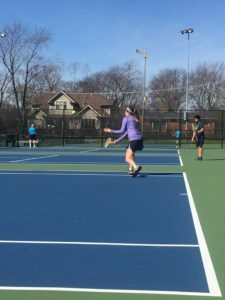 Players can enter Men’s Open, Women’s Open or Junior Singles (Mixed, Ages 12-17). Besides this great tennis event, meet the Oakton Men’s Team and WIN Wilson tennis gear! Rules: Must play with a wooden racket. 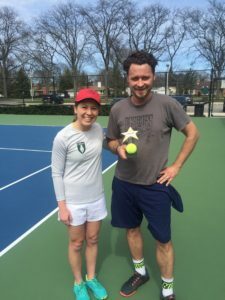 Find one at your nearest thrift store or clean your garage.Proceeds will go towards the Oakton Community College Tennis Program and Oakton Coach Johnson and her Johnson Family Scholarship Program. Only $20 per player to compete!